Chef woke up this morning to find Mr and Mrs Egg dancing to the radio! 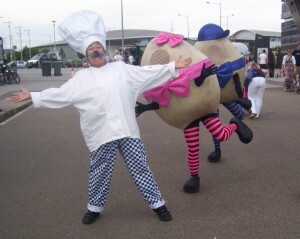 He thought rather than cook them for breakfast he’d better take them out for the day so that everyone could dance with them! 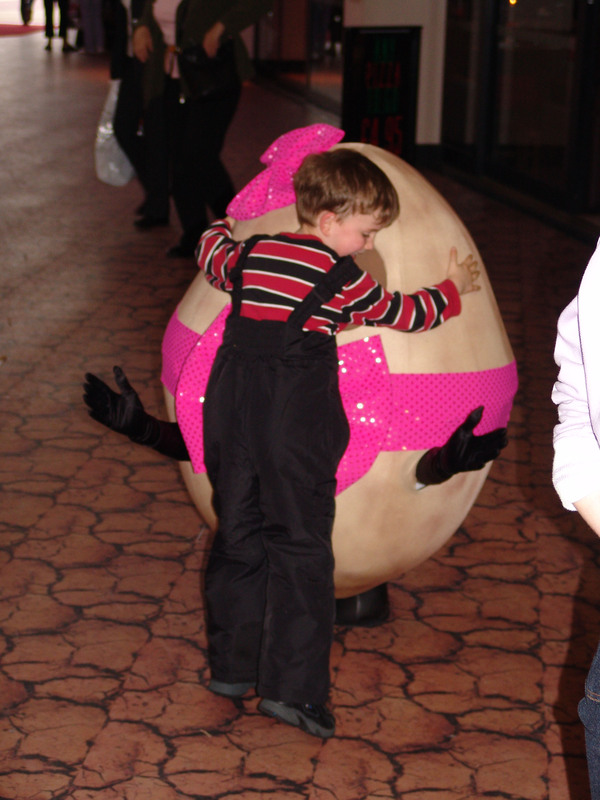 Crazy giant eggs run amok with their madcap chef to a fun and bouncy soundtrack which inspires everyone to dance, old and young. Warning, people can’t see this and not smile! 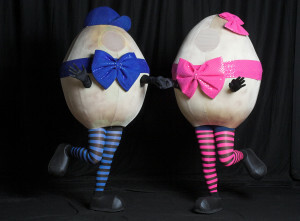 If you’re lucky they might even perform their special dance! 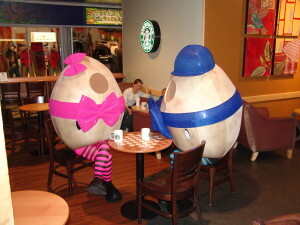 Available for food fairs Easter events or anywhere that needs some fun. 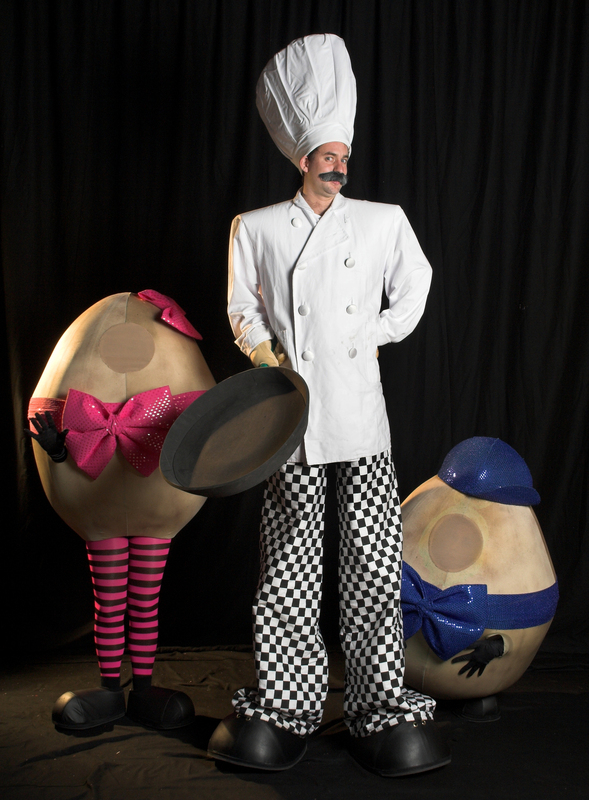 Two or three eggs are available, always with a chef (not a ringmaster but that is available on request).